The Powered Storage Conveyor (PSC) is an overhead level garment storage and transport conveyor which can double your floor space! The PSC provides an ideal solution for overhead route storage without the use of platforms. Versatile touchscreen interface allows easy operator control with load and unload monitoring. Reversing functions allow partial unloading so one rail can be used for more than one route. 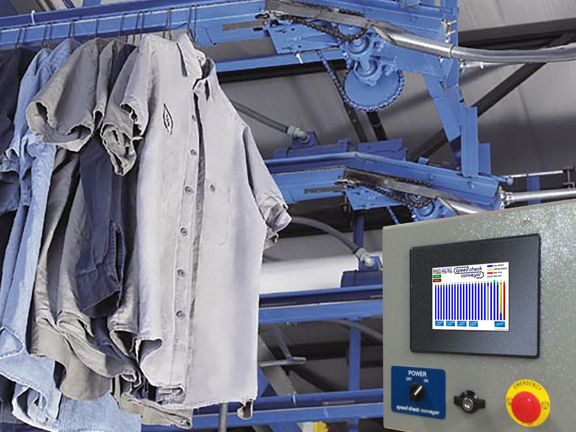 Interface also offers adjustment of load rate or number of garments per foot. The quality you produce is the quality you ship with this gravity free, durable system.